Nothing to do here! this cute and move in ready single family home is ready for its new owners! 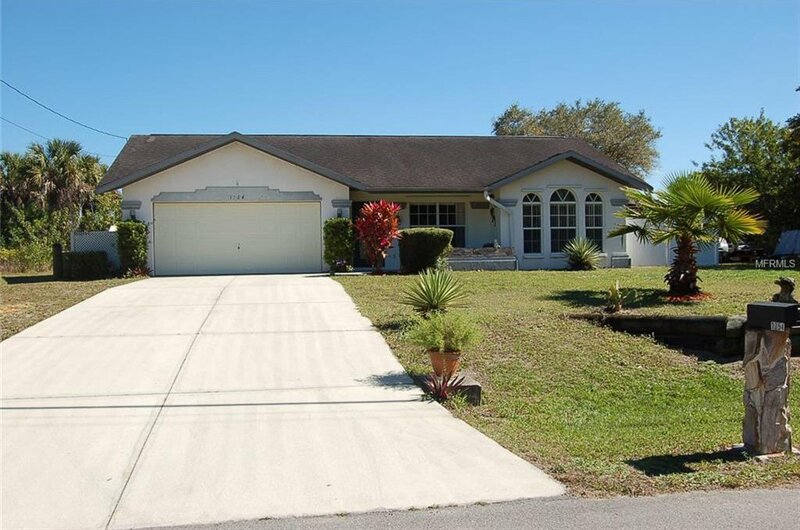 Located in the growing City of North Port this home offers 3 bedrooms 2 full baths, a double car garage and over-sized screened in lanai overlooking the serene freshwater canal. This home features an extended shower in the master bathroom, walk-in closet in the master bedroom, and has an upgraded whole house water treatment system providing you with excellent water quality! This home also includes a shed on the rear of the property for extra storage. Don't wait to see this one as what you think about today may be gone tomorrow! Listing courtesy of ANYTIME REALTY LLC. Selling Office: SELLSTATE WAVES REALTY.